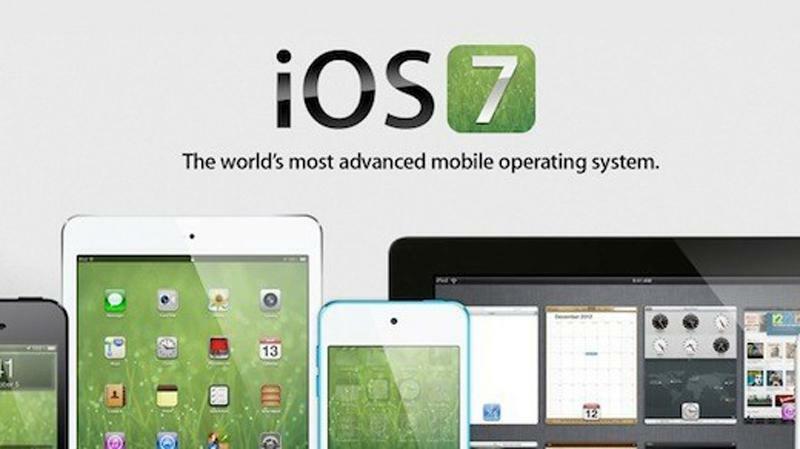 Apple has launched the new iOS 7 for its iPhone and iPad users. The conference that held back in San Francisco, has unveiled many improved iOS technological specifications. Including latest and improved features, the whole new iOS has dazzling user interface that lured many Apple lovers. iOS 7 did brought many new features that people have been waiting for. Apple did fulfilled technical wish-list for developer as well as users to some extent. Hence, we can say that Apple’s iOS 7 is more than just iteration to its previous version. Apple has used whole new line of color palette, and has changed all the icons as well as buttons. The lock screen seems fresh and there is much more advancement done in designing sector. With new Control Center and improved notification, Apple has added simplicity to its beautifully designed iOS 7. As said by Jony Ive that this time Apple’s designed has been simplified and emphasis is given to the clarity of content presentation. The new design is, hence, exciting and here is what all you need to know. The new iOS 7 structure brings a new clarity and simplicity to the entire experience. The new interface will offer to place right things at the right place, when user needs them. Often simplicity is equated with minimalism, but with iOS 7 it’s all about bringing order to complexity. Apple has shaved-off the conspicuous ornamentation with iOS 7. The unwanted buttons and bars have been removed, and users will have privilege to see more of the content. Whenever user picks the iOS 7, he/she will be able to know how to do the things that one wants, without any complexity. And, with this aim the design have been formulated for iOS 7.
iOS 7 comes with a wow designing feature called parallax. In a manner you move your iPhone, the background wallpaper will also move along. Hence, users will be able to see the widgets as well as apps behind the screen. Moreover, in order to kill or halt any app, you just need to swipe that particular app. Hence, there is no need of pressing the app for long. Also, whenever you change the color of your home screen’s background, the elements of smart iOS 7 will change to match the colors. The iOS 7 application has also got new touch of simplicity and clarity. There is no doubt that Apple takes full advantage of its technologies for pushing the unique iOS experience to its iPhone, iPad and iPod users. This time iOS has come with new sense of dimension. The iOS 7 has utilized the translucency that provides a sense of clarity, 3D visual wallpapers and new parallax feature. Apple followed new approaches to animation and motion, which will make the simpler tasks even more engaging. Owing to the feature and specification list, one must say, iOS 7 has lot more than just expected for the users. Whenever a new product is launched, you develop a new connection with it. Same was with iOS 7; it became more than just a new iteration for users. The beautiful interface and dynamic interactions invite new connection from users. The new design experience is spirited and lively in so many unexpected yet natural ways. The animations are cinematic for example, check the Weather app, you can experience the difference. The storm clouds come into view with the flash of lighting. You can even see the fog passing in front of your iPhone’s text. Hence, checking the weather is just like looking out in the window. It has been challenging for Apple to come out with something new, yet less complex. For them designing iOS 7 with simplicity was rather more complex. To bring something that works just in time for users requires Apple to remove the most obvious ornamentation from this latest iOS. For them, simplicity was more than just the absence of muddle or shaving-off the decorations. With new designed icons and buttons, iOS 7 seems to be more vibrant and colorful. Right from the WWDC 2013, iOS 7 design has dropped many jaws for its multi-tasking and beautiful interface, and it will continue to do so for months to come.